During the fall and winter months, I find myself with a perpetual mug in-hand. The bottom line is, when it’s cold outside, we like to EAT. 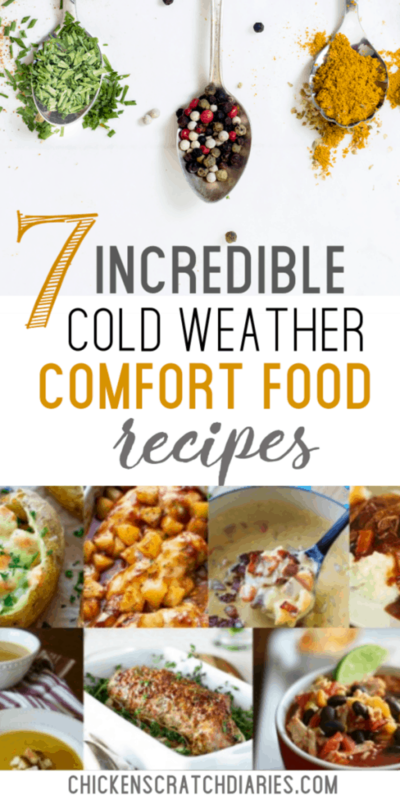 And I’m always on the lookout for cold-weather comfort foods that will satisfy! • Also Read: 5 Easy Ways to Save $100 on Groceries This Month. Of course, it’s easy to suffer burnout on the same ‘ol chili and stew over and over all fall and winter long. So I’ve done some searching and have compiled a list of seven amazing dishes from across the web that definitely qualify in the comfort food category. Some of these may have never crossed your mind as comfort food recipes, but in my book they all qualify – and they’re delicious! 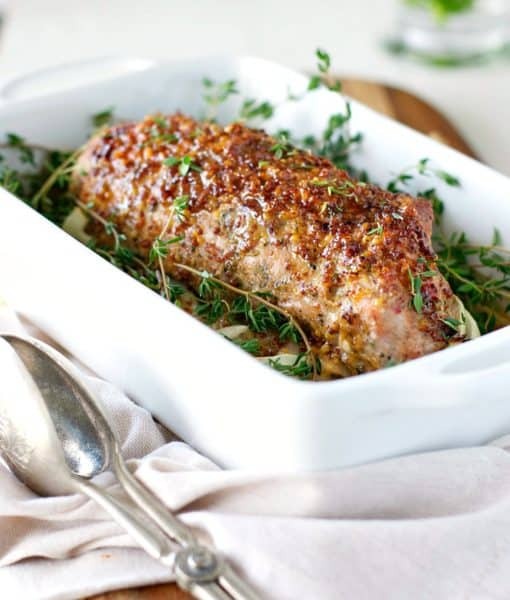 Check out these recipes and let me know which ones you’re trying this weekend! 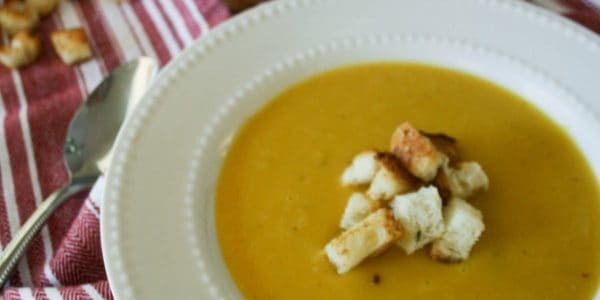 This recipe from To Eat, Drink and Be Married features butternut squash and apples and I can almost smell it simmering in my kitchen! Note to self: I finally have a use for that immersion blender I bought ages ago! So, a baked potato and a chicken pot pie had a baby…and this is what it looks like. It’s like the cutest, most delicious comfort food combo I’ve ever seen. Get the full recipe at: Whole and Heavenly Oven. Will you just LOOK at the crust on that tenderloin! It’s a thing of beauty. I’m not even sure I can eat it, I just want to make it and admire it on my table and pretend like I’m a TV chef. Back in reality – my crew would totally gobble this up in a heartbeat. Take a look at the full recipe at The Seasoned Mom. I think it would be great with some Italian Oven Roasted Vegetables and some crusty french bread. 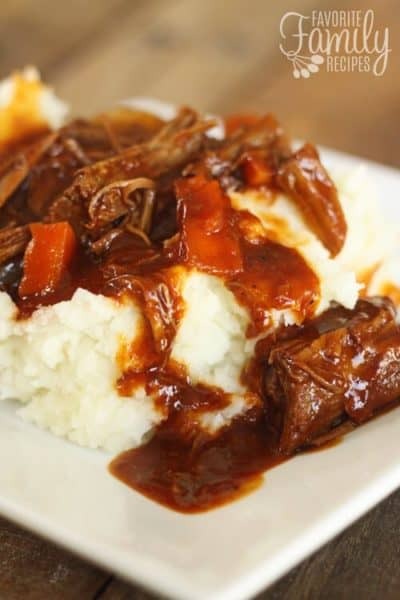 This recipe had me at slow cooker. Any time I can whip up something with loads of flavor and minimal effort, it will usually make it into my permanent recipe rotation. 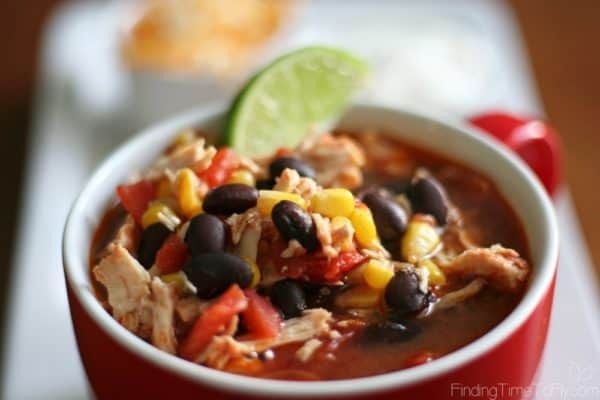 This easy Slow Cooker Chicken Tortilla Soup (from Finding Time to Fly) will taste like it’s from your favorite restaurant but at a fraction of the price! If this doesn’t scream comfort food, I’m not sure what does! AND it can be made on either the stove top or in the slow cooker. I also love the idea of serving it over the mashed potatoes, kind of like a Shepard’s Pie in reverse! Find out how to make it here at: Favorite Family Recipes. 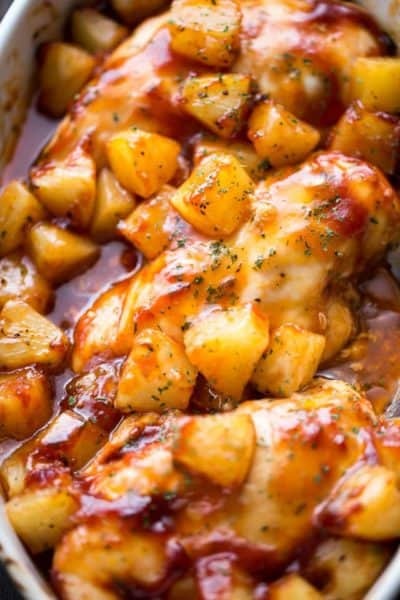 You can bring your summer barbecue indoors with this Pineapple Barbeque Chicken recipe (from Diethood) that bakes in just 40 minutes in the oven. And you can make it with 3 basic ingredients! I plan to serve it with a side of steamed green beans and these easy Hawaiian Homemade Sweet Rolls. Save the juice from the pineapple in the chicken recipe — it’s one of the ingredients for the rolls! 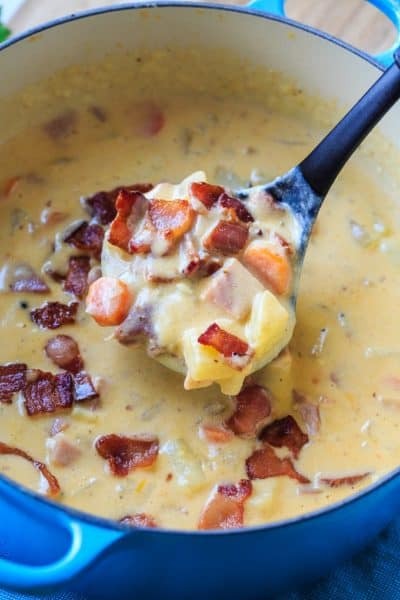 This recipe became a favorite for us last winter. Look, it’s ham AND bacon drenched in thick and cheesy goodness. How can you go wrong with that? Seriously, even my two picky eaters (they know who they are, ahem) really liked this soup. You can view the full recipe at Spicy Southern Kitchen. If you enjoyed these recipes and you want to learn more about how I save money by meal planning (every.single.week), be sure to check out “A Completely Basic Guide to Creating a Weekly Meal Plan – on a budget“. This a simple guide where you’ll learn how to get organized and always know what’s for dinner! 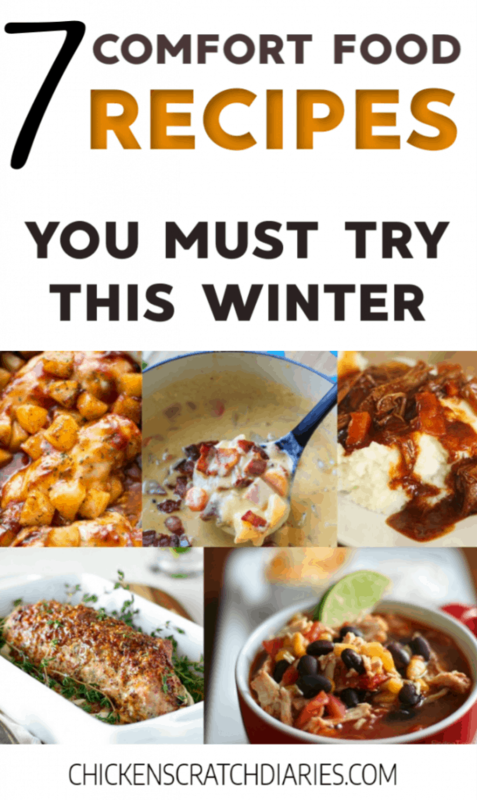 Also be sure to read: Crockpot Freezer Meals: Our Family Favorites for meals you can prep in one hour and eat all week in the slow cooker! These are amazing recipes. 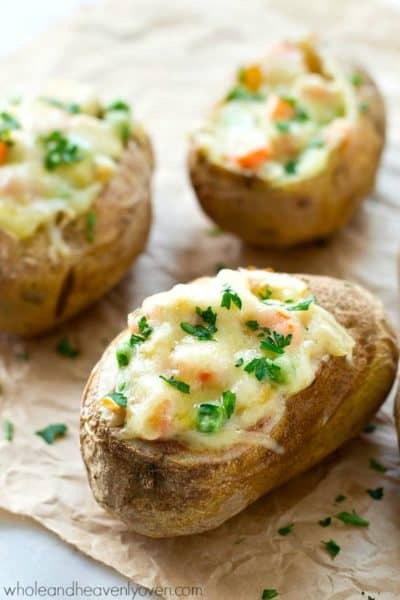 I appreciate you for posting these recipes. Definitely will try them when I get holiday. Thanks! Hope you love them – thanks for reading!